I'd watched the first half hour of this movie twice since it's release but I never finished it. There's really no reason I never continued, just got distracted and never went back to it. But boy am I glad I did now. 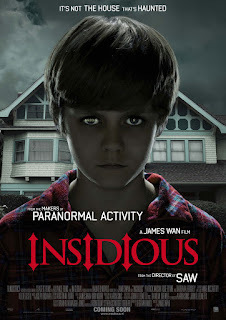 Something about James Wan's horror movies just sync up with my tastes really well. Even Dead Silence, which many people didn't like, I thought was a terrifying experience. Seeing it in the theater was almost scarring. Seriously, Mary Shaw. What the hell? 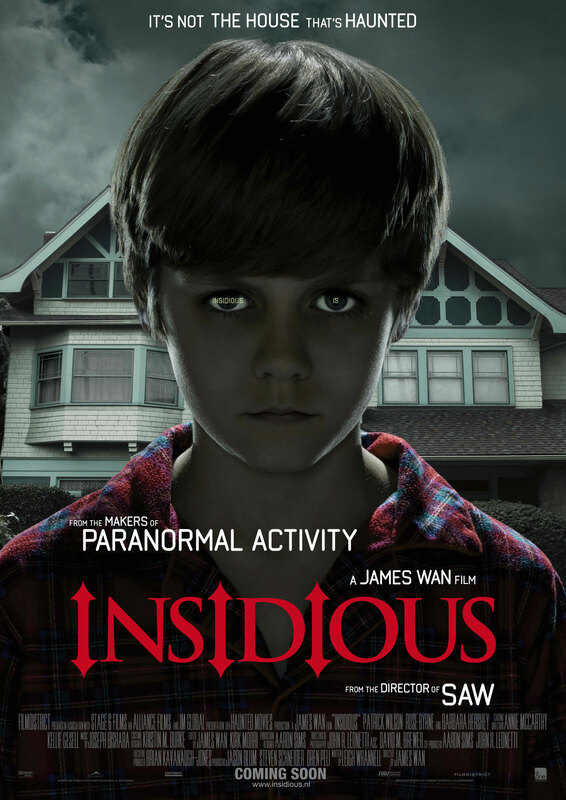 Oh yeah, Insidious. I'll admit that I actually thought some parts were genuinely scary. Sure, some moments fall flat, but for the most part, it's creepy and works. Great casting too. Rose Byrne and Patrick Wilson can be in every movie and I'd be pleased. Those two are extremely underrated and elevate this movie. I'm not sure what the budget was for this but it looked damn good. Wan never overuses a gimmick and never fails to bring the suspense. I was also pretty genuinely shocked by the twist. I didn't really even think about there being a twist so I wasn't looking out for it. I should have known better. Oh well.